However, installing essential IT infrastructure, and hiring the necessary IT staff to maintain, monitor, and manage such systems require investments in hardware, software, and personnel. While essential for a company to run effectively and efficiently, IT can sometimes be a drain on company resources, time, and workforce for businesses who do not have the resources to dedicate to IT. Rather than underfund or underinvest in IT infrastructure and systems, it would be far better (and smarter) for these companies to acquire managed IT services from a third party like Wright Business Technologies. There are three predominant ways for small to midsize companies to acquire, setup, and run essential IT systems and services, such as servers and customer support. Companies can pursue a fix-break model, on-demand outsourcing, or have their IT systems and infrastructure professionally managed by a managed service provider (MSP). Managed IT services provide businesses access to world-class IT solutions for a fraction of the cost of setting up and maintaining their own IT systems. The benefits of going with a managed IT services provider (MSP) are many. However, it always comes down to the bottom line. 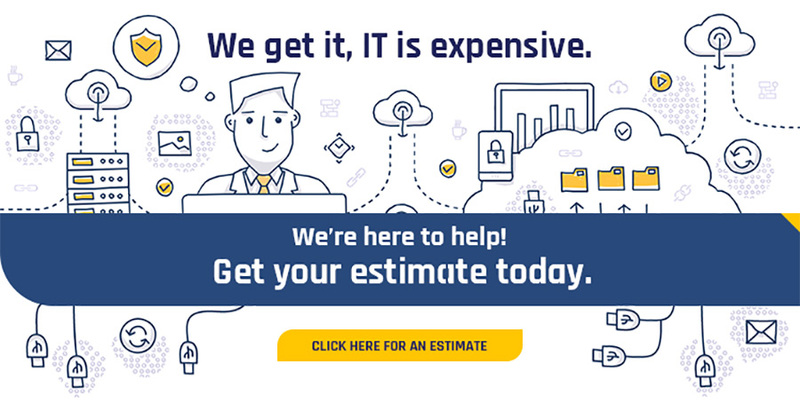 How can managed IT services save your company money without compromising on the IT support necessary for your business to run at peak performance? This is achieved through specialization. Outsourcing firms, such as IT managed service providers, have the expertise and industry-specific resources, such as investments in existing IT infrastructure, that are far and away above what many if not most small, mid-sized, or even large firms possess. Most companies don’t have the resources or knowledge necessary to set up, manage, monitor, and maintain their IT systems as effectively or efficiently as a dedicated managed service provider. With that in mind, it makes sense to let a third-party managed service provider, or MSP, do that for a nominal monthly fee rather than to attempt to do it themselves. It’s a win-win proposition and partnership. Managed service provider clients can better allocate their resources towards furthering their core business objectives while paying a significantly smaller fee for an up-to-date, rigorously monitored, and professionally maintained IT systems and infrastructure. This is a crucial business strategy that is almost an unfair competitive advantage.